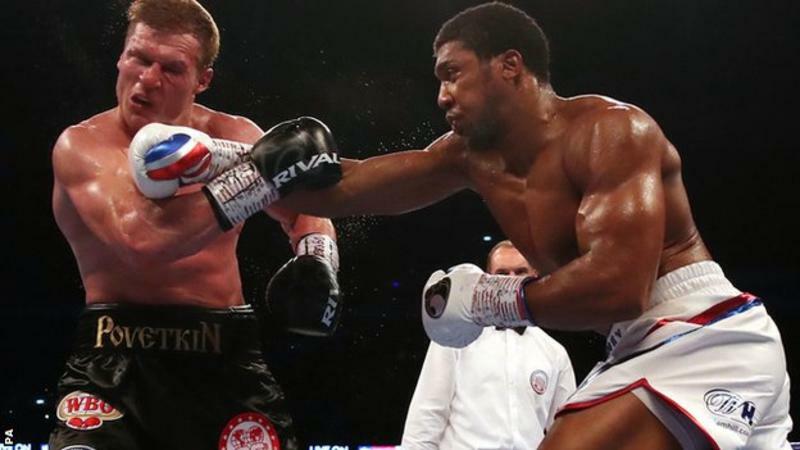 BBC: Anthony Joshua delivered a stunning finish to stop a game Alexander Povetkin and retain his world heavyweight titles at Wembley Stadium. “Povetkin is a very tough challenger, he proved that with good left hooks and counter punches,” he said.”I came in here to have fun, and give it my best. I knew he was strong to the head but weak to the body. I was just mixing it up.”It could have been seven, maybe nine, maybe 12 rounds to get him out of there, but the ultimate aim was to be victorious.”And I got my knockout streak back,” added Joshua, who was taken to 12 rounds for the first time in his previous fight against New Zealand’s Joseph Parker in Cardiff in April.